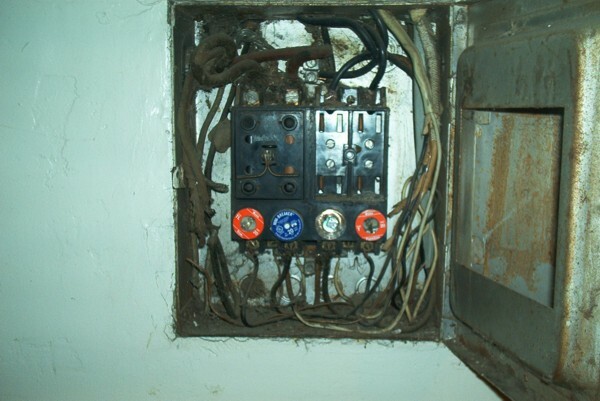 This is the original Serviceon this house, built in the early 1940's, the conductors coming from the pullout on the right are #8 AL, not in Conduit. And yet more pictures from NORCAL!. This was done by a tenant who has since been evicted. The Zip-cord fed a fa*t fan in the attic access hole. 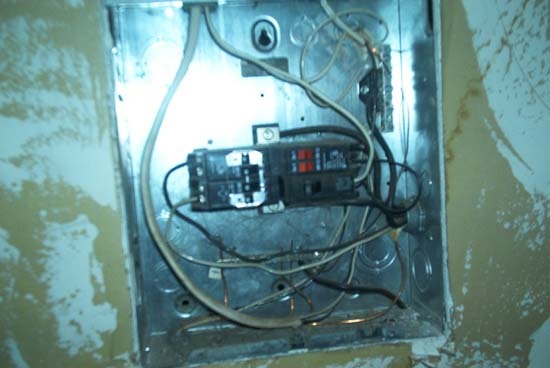 The Quad breaker fed a window A/C and the rest were for lights and receptacles. The good news is the panel and wire were sent to the scrap yard and a new 100A panelis in place. 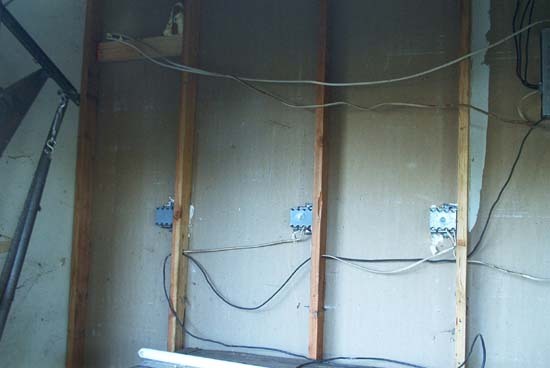 The bad news is, that the 2x4's were given awat for re-use and a 2-gang nail on box was connected to a 50A A/C disco.